IDX Fusion is a fully automated and algorithm smart content management system. - It not only transforms all listings into search engine friendly web pages, it highly optimizes every listing for all of its property features and geo-specific locations. It themes listings by topical categories, and automatically creates rich long tail content for your website or blog. Long tail keywords account for 70-80% of all search engine traffic! - The largest source of long tail keywords for targeting real estate traffic are “locked inside” the listings of your regional MLS database. IDX Fusion unlocks this long tail content and topically integrates it into your website. Easy to attach to any existing website or blog. 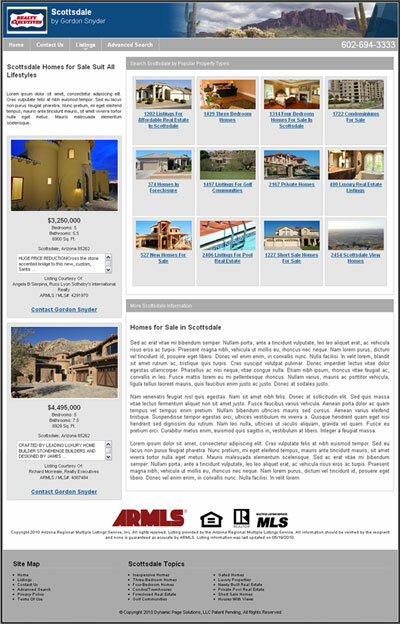 - Instantly adds thousands of MLS listings to your website or blog. IDX Fusion can transform your traffic-dead site into a traffic powerhouse. Updates daily the metrics used in your articles. - It keeps your articles accurate in characterizing the communities you write about when you use statistical representations like average price (mean, median, or mode), price ranges of homes in a given neighborhood, number of listed properties, and up to eighteen other statistical measurements. Automatic creation of several different kinds of web pages. - You don’t have to know code or HTML mark-up tags to create topic pages, listing pages, or detail pages. Google Analytics activated for site tracking. - Follow your sites progress as it gains in domain authority, traffic, and pages indexed. Keyword selection and optimization on all automated web pages. - Keyword selection can be determined by you or set automatically by smart algorithms that analyze the market for the best balance between degree of competition and traffic opportunity. IDX Fusion is a proprietary technology that transforms all MLS listings displayed on your site into web pages that are visible to the search engines. Even your competitors listings become a rich source of traffic for your website or blog. The MLS listings on most all real estate websites are invisible to the search engines because they are presented within I-frames. Non-indexed content offers absolutely no value to your sites ability to capture search traffic or be competitive in search engine rankings. IDX Fusion is the most advanced solution on the market that solves this problem. Stop competing for web traffic using just a small handful of highly competitive keywords and experience the power of automated long tail keyword optimization with IDX Fusion. Win the low hanging fruit of easy traffic while building the base to dominate the search engines in your market.